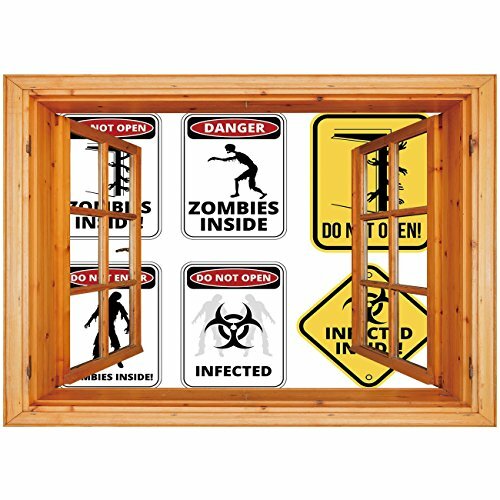 Made of high-quality vinyl, these wall stickers have been designed to look impressively real, giving the illusion that there's an additional window in your room, with a stunning landscape that takes your breath. But unlike competing products, the iPrint 3D Vinyl Wall Decal Stickers are very easy to apply, remove thanks to their peel-and-stick design. In addition to that, you'll never have to worry about accidentally removing chunks of paint off your walls, our high-quality stickers will not leave any marks or glue residues behind, no matter how many times you apply and remove them. Available in a very wide range of options. These beautiful wall stickers will be just perfect for redecorating your room without sinking thousands into the process, making your bedroom, bathroom or kitchen look and feel so welcoming for everyone! Very High Quality Vinyl - 7+ year exterior life!Very easy to apply, remove or reposition - Just PEEL & STICK!